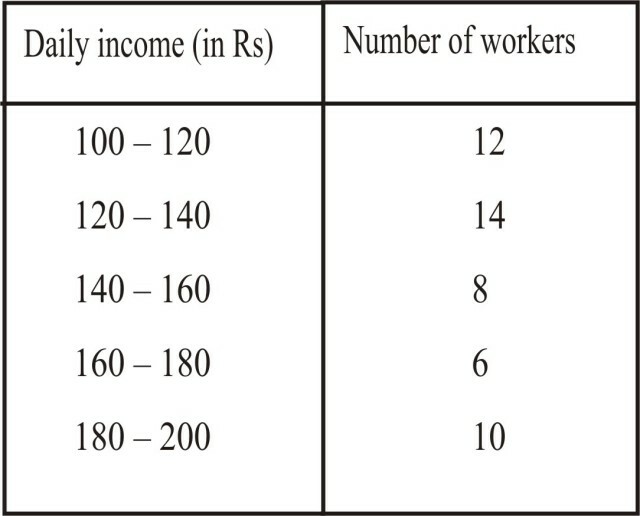 Q.1 The following distribution gives the daily income of 50 workers if a factory. 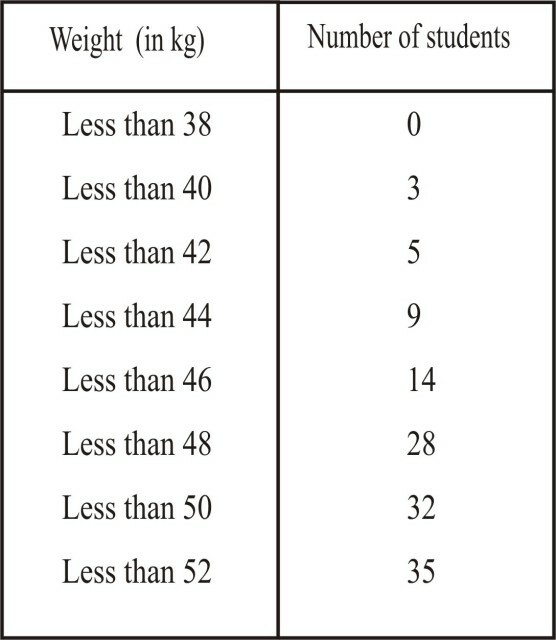 Let us now plot the points corresponding to the ordered pairs (120, 12), (140, 26), (160, 34), (180, 40) and (200, 50) on graph paper and join them by a free hand smooth curve. 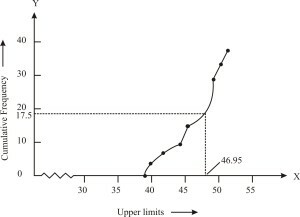 The curve thus obtained is less than type ogive. 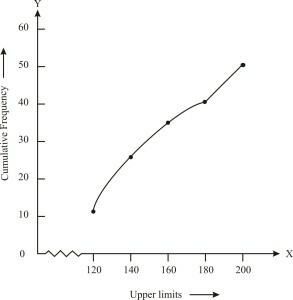 their corresponding cumulative frequencies on the y-axis, choosing a convenient scale. 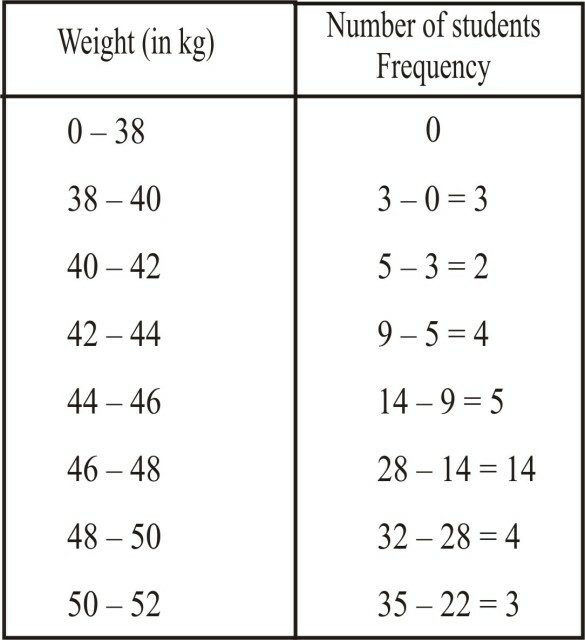 Let us now plot the points corresponding to the ordered pairs given by (38, 0), (40, 3), (42, 5), (44, 9),(46, 14), (48, 28), (50, 32) and (52, 35) on a graph paper an join them by a free hand smooth curve. 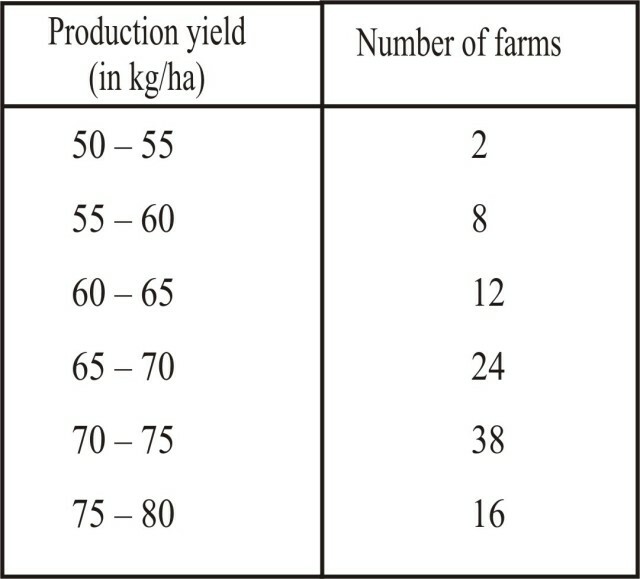 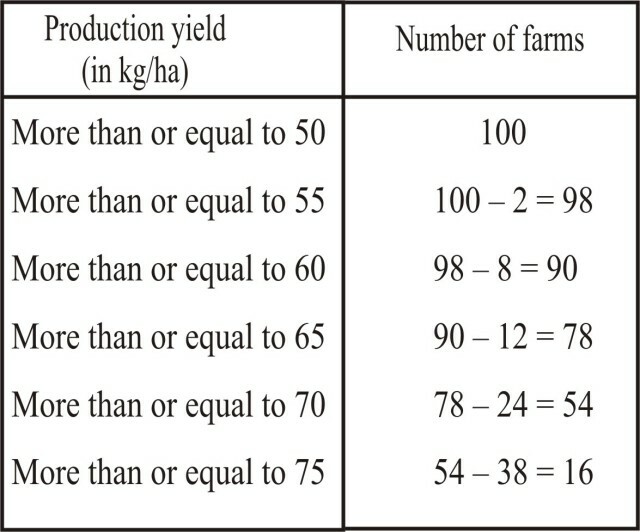 Q.3 The following tables gives production yield per hectare of wheat of 100 farms of a village. 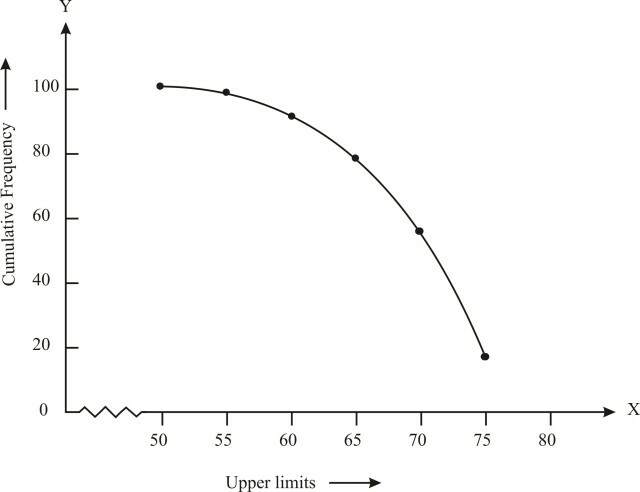 this graph paper and join them by a free hand smooth curve. 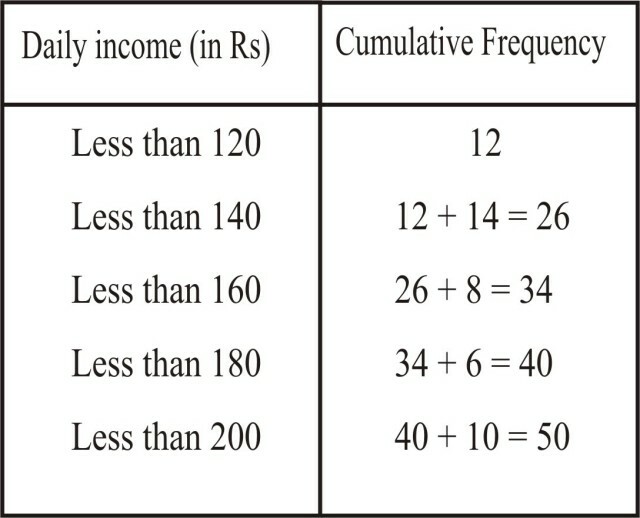 The curve thus obtained is more than type ogive.